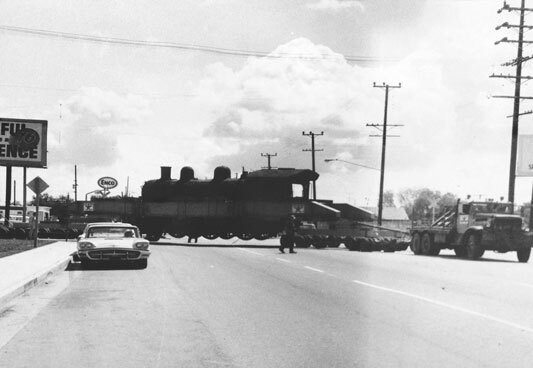 The locomotive being much heavier (about 85 tons empty), was a different sort of problem. 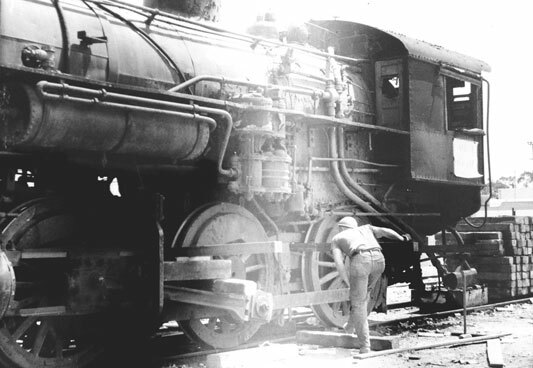 Eight solid 6x6 moly-steel beams were put through the locomotive frame, extending out on each side of the locomotive. 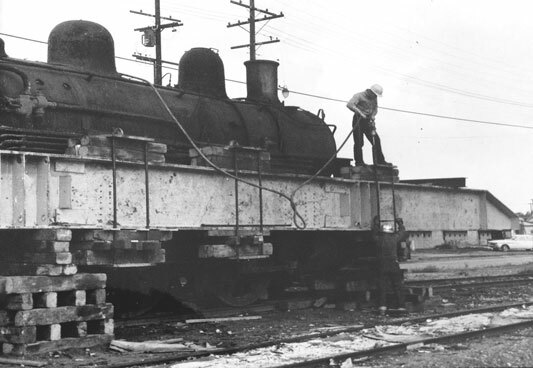 A pair of 60 foot long bridge girders were bolted to the beams, one girder on each side of the locomotive. Steel cross timbers and braces were welded between the girders. 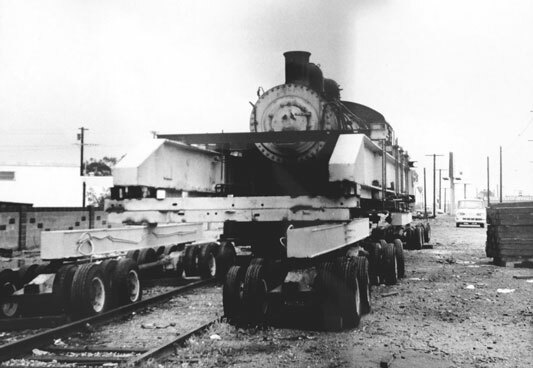 The locomotive and girders were jacked up and two house moving dollies were placed under each end of the girders. Eight dollies in all were used. 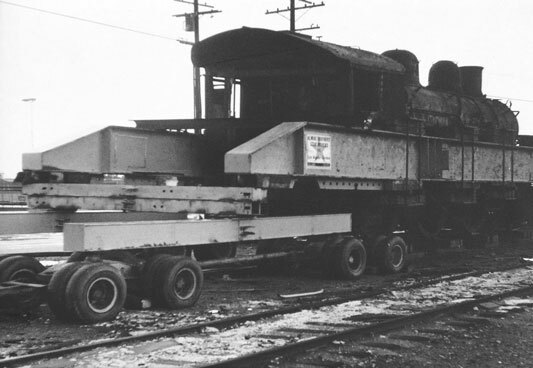 Each dolly has eight wheels, so the whole rig, locomotive, girders, and framing (weighing about 125 tons) was on 64 rubber-tired wheels spread over an area of about 20x75 feet. It took approximately 2 days to make up the rig. The work actually consumed about a week due to interruptions from the rain. 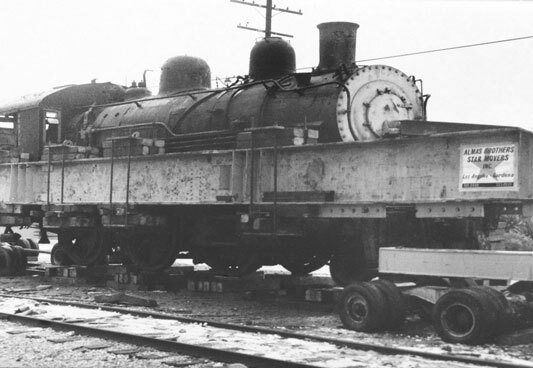 The moving from the team track to the museum track, unloading and securing the locomotive in place took about 10 hours.